Calling all investors! This 4 bedroom 1.5 bath concrete block house is 1,053 SF and currently tenant occupied through 7/31/19. The current rent is $900/mo. This property is part of a 12 property portfolio and must be purchased with the other properties. 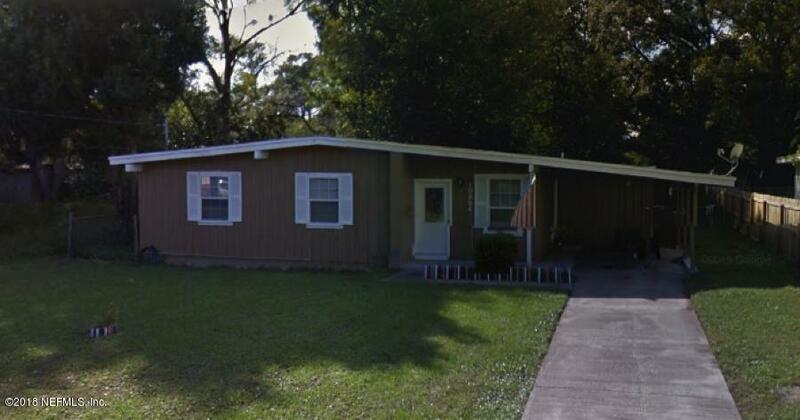 10304 Elmhurst Dr is a 1,053 (*estimated) square foot home with 4 bedrooms and 1 bathrooms located in Jacksonville FL, DUVAL County. This property is listed for sale at $85,000 and is currently active and accepting offers.